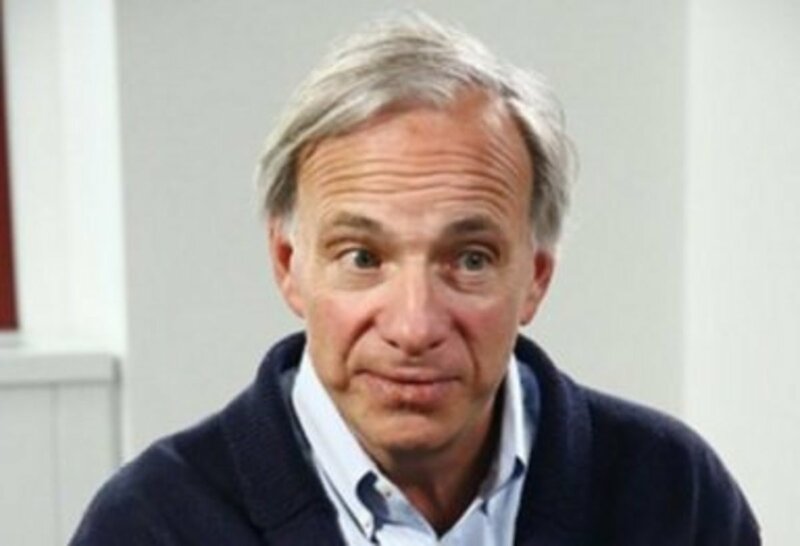 Bridgewater Associates LP, the world’s largest hedge fund manager, has attracted $22.5 billion in client money since it started a new strategy early last year, according to a person familiar with the matter. About three-quarters of the money went to the new fund -- a combination of the firm’s two main strategies known as the Optimal Portfolio -- which was started in early 2015, said the person, who asked not to be identified because the information is private. The remainder went into the firm’s main macro hedge fund, Pure Alpha, after Bridgewater opened that fund to select investors this year. Richard Perry, who started his hedge fund 28 years ago, has seen assets in his Perry Capital shrink to $4 billion, from $10 billion last September. That 60 percent drop comes as the firm’s main fund fell 18 percent from the end of 2013 through July. Perry isn’t the only manager struggling. John Paulson’s assets, on the decline since 2011, are down an additional 15 percent this year. And Dan Och, who like Perry cut his teeth at Goldman Sachs Group Inc., is now managing $39.2 billion at his Och-Ziff Capital Management Group, compared with $44.6 billion at the start of the 2016. The market will tank if Donald Trump is elected, entrepreneur Mark Cuban said Monday, citing Trump&apos;s comments about the Federal Reserve as evidence. Earlier Monday on CNBC&apos;s "Squawk Box," Trump said: "The interest rates are kept down by President Obama. I have no doubt that that&apos;s the reason they are being kept down." On Twitter, Cuban said GOP presidential nominee&apos;s comments showed "he hasn&apos;t made any effort to learn." Cuban said the comments show why the market would plunge if Trump were to become president. Canada&apos;s Agrium Inc and Potash Corp of Saskatchewan Inc agreed to combine in a deal that would create a fertilizer giant with an enterprise value of about $36 billion but also draw scrutiny from U.S. regulators. Potash Corp, the world&apos;s biggest crop nutrient company by capacity and Agrium, North America&apos;s largest farm retailer, said the combined entity would be largest crop nutrient company in the world. Desperate times call for desperate measures – and for one college student out of beer money a sign captured on ESPN led to more than 2,000 donations using the person-to-person payment app Venmo. The sign was captured in the background of ESPN College Gameday, a pregame show that broadcasts from a different college campus every Saturday during football season. Fans frequently hold up funny signs behind the anchor desk. This week&apos;s show was at the University of Tennessee, where intrepid student Sam Crowder held a sign that said "Hi mom! Send beer money!" and included his Venmo account handle. Amused viewers began looking up Crowder and some started chipping in for a round. Before long Venmo said on Twitter that Crowder had received 2,000 donations of unreported denominations. “Notwithstanding a few recent weak monthly reports -- from the Institute for Supply Management, for example -- I am satisfied at this point that conditions warrant that serious discussion,” Lockhart said Monday in Atlanta. For the manager of the largest exchange-traded fund backed by the metal, not even a surprise increase in U.S. borrowing costs this month would be enough to damp investor appetite for gold. “We’re still going to be in an environment where rates in the U.S. are still very low,” David Mazza, the head of ETF and mutual-fund research at State Street Global Advisors, which manages SPDR ETFs, said in an interview Friday at Bloomberg headquarters in New York. Asset manager Columbia Threadneedle Investments on Monday said its U.K. property fund would reopen later this month. The London-based firm had shut down trading in early July when investors were rushing to pull their money out after Britain voted to leave the European Union. Earlier this month, asset management firm Canada Life lifted the suspension of redemptions on its U.K. real-estate fund. And U.K. fund manager Aberdeen Asset Management PLC reopened its property fund in mid-July, having taken a slightly different approach after Brexit, suspending its fund for a short time and charging a steep fee if an investor still insisted on pulling money out. A man accused of robbing a Kansas bank and immediately surrendering to a security guard told investigators he preferred jail to life with his wife, the FBI said. Lawrence John Ripple, 70, allegedly walked into the Bank of Labor in Kansas City on Sept. 2 and handed a teller a note reading, "I have a gun, give me money." ... Police responded quickly to the bank, which is on the same block as the city&apos;s police headquarters, and Ripple was arrested. Ripple allegedly told investigators he has been arguing with his wife and "no longer wanted to be in that situation," court documents state. The FBI affidavit in support of a robbery charge against Ripple states the suspect "wrote out his demand note in front of his wife ... and told her he&apos;d rather be in jail than at home." Ripple&apos;s wife said he had become angry when she reminded him that the clothes dryer needed to be repaired.